Integrated research across disciplines is required to address many of the pressing environmental problems facing human societies. Often the integration involves disparate disciplines, including those in the biological sciences, and demands collaboration from problem formulation through hypothesis development, data analysis, interpretation, and application. Such projects raise conceptual and methodological challenges that are new to many researchers in the biological sciences and to their collaborators in other disciplines. 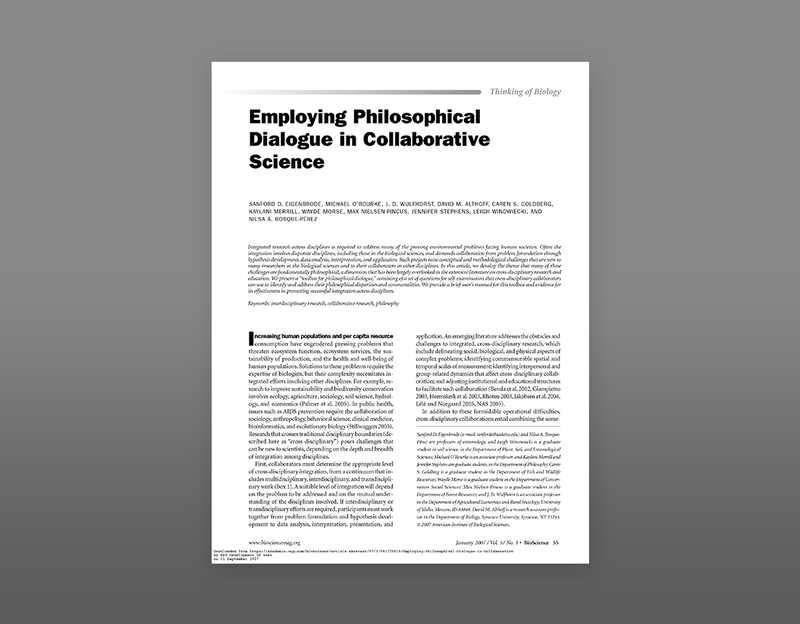 In this article, we develop the theme that many of these challenges are fundamentally philosophical, a dimension that has been largely overlooked in the extensive literature on cross-disciplinary research and education. 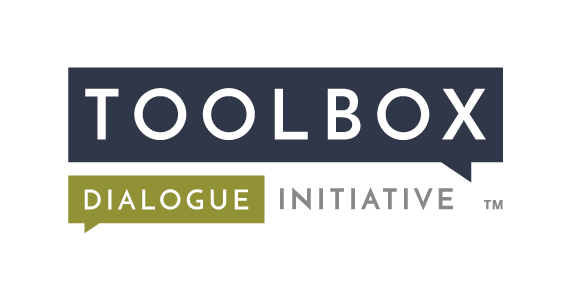 We present a “toolbox for philosophical dialogue,” consisting of a set of questions for self-examination that cross-disciplinary collaborators can use to identify and address their philosophical disparities and commonalities. We provide a brief user’s manual for this toolbox and evidence for its effectiveness in promoting successful integration across disciplines. Eigenbrode, S.D., O’Rourke, M., Wulfhorst, J.D., Althoff, D.M., Goldberg, C.S., Merrill, K., Morse W., Nielsen-Pincus, M., Stephens, J., Winowiecki, L., Bosque-Pérez, N. (2007). Employing Philosophical Dialogue in Collaborative Science. (2007). Bioscience 57(1):55-64.